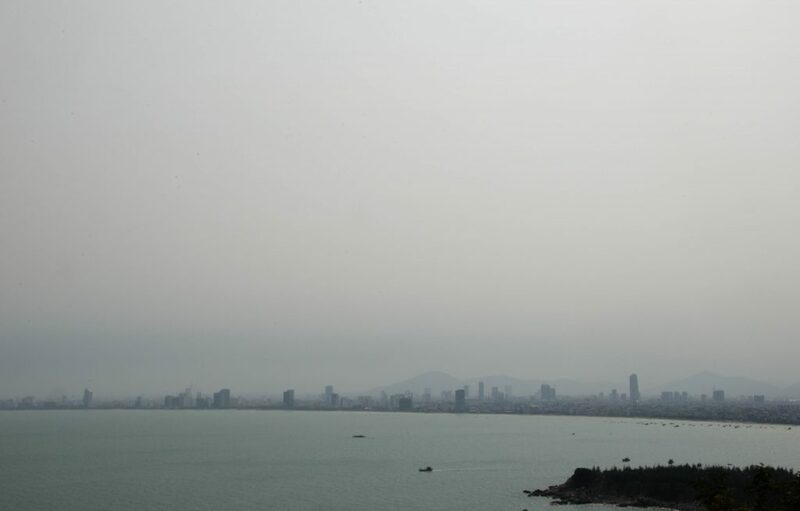 At the end of the Son Tra Peninsula in Da Nang, Vietnam, a tall white statue of the Goddess of Mercy looks upon the sea and the port with her gentle eyes, protecting the local fishermen and giving them strength to fight the waves and winds. 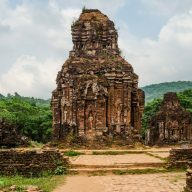 She also marks the entrance to the Son Tra Linh Ung Pagoda, which is one of the most beautiful temples in that part of Vietnam. 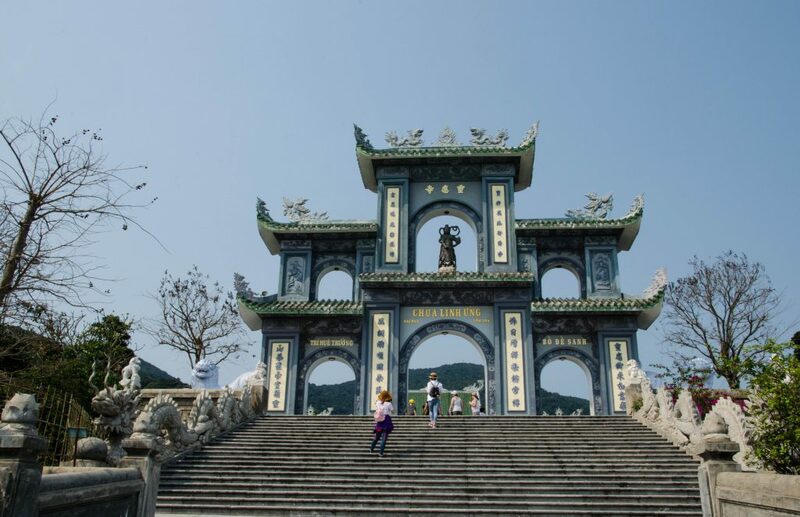 Since we first visited Da Nang we always wanted to drive up the mountain and see the magnificent statue up close. As soon as we got a scooter we decided that this should be our first trip here. Finally the weather was nice, with blue skies and gentle breeze and we had nothing else to do rather than just jump on our two wheels and visit the beautiful Lady Buddha. 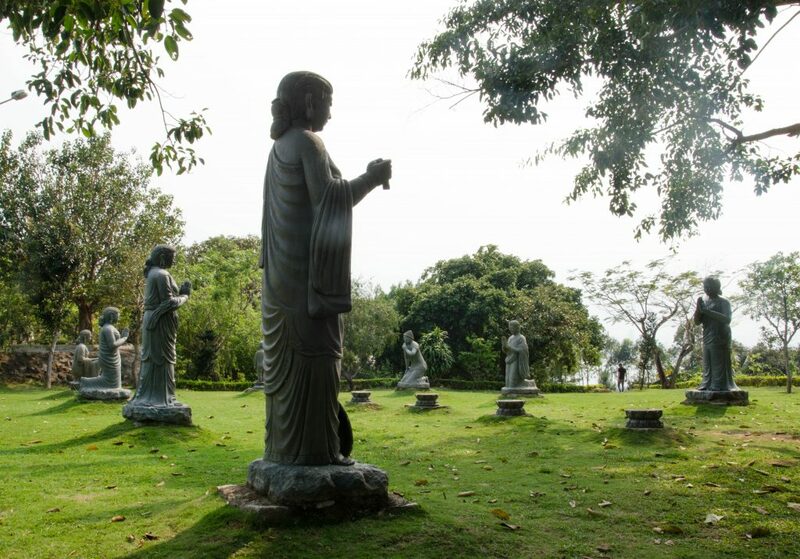 The Lady Buddha’s statue, surrounding gardens and pagodas make a great impression. 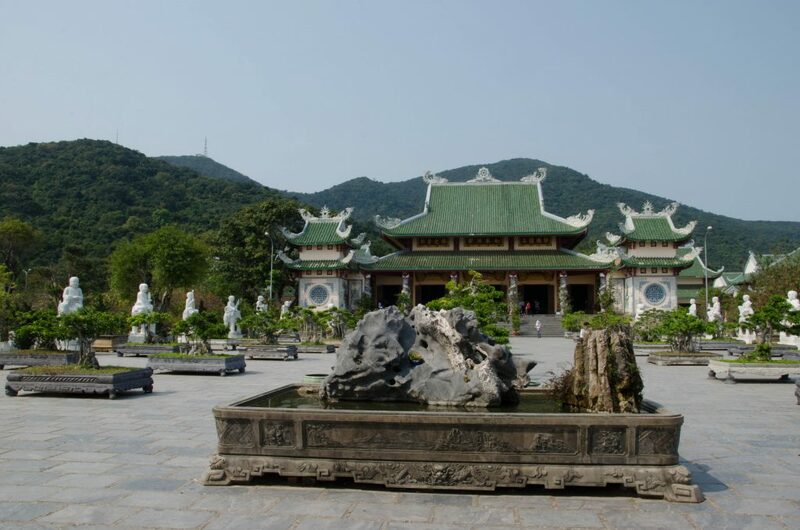 The complex was built in the 18th century during the reign of Emperor Ming Mang and has recently been restored. 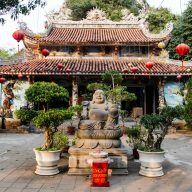 Stone stairs and a beautiful gate lead to a wide courtyard, lined with bonsai trees and sculptures of 18 spiritual rites that express love, hate, anger and joy. The plaza is crowned with a stunning pagoda, which is busy with praying devotees and visitors. We wandered around the area for quite some time. Some of the smaller buildings, which seemed to be temples as well were closed for visitors, but we had a short walk behind the main pagoda and found some beautifully looking trees with mysterious sculptures. 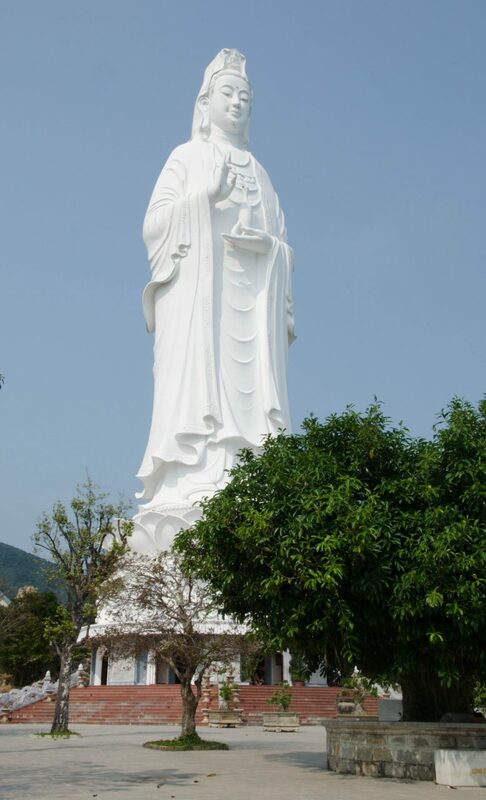 The Lady Buddha itself, except being a very tall and impressive statue wasn’t very interesting. The inside holds only one altar. I had read somewhere before that it has more altars hidden on different levels and you can climb the stairs all the way to the top and admire the views of the city. However, the entrance to the stairs seemed to be closed during our visit. If you love panoramic views, fear not. 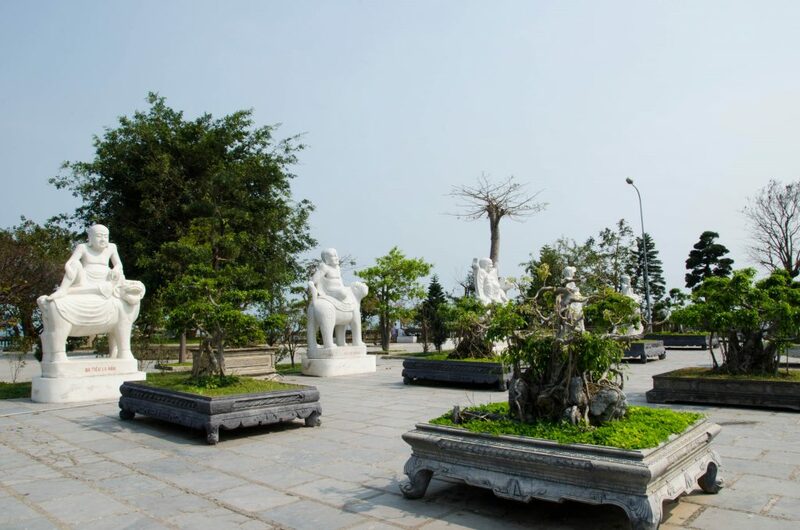 You can admire Da Nang from the terrace, located at the feet of the Lady Buddha. There is quite a lot of moisture in the air in Da Nang, which creates a lot of mist, so the pictures will always look a little foggy. The views are still magnificent though. The drive: If you have your own transport then getting to the pagoda is very easy. The road is straight, with occasional curves just before the entrance of the pagoda. It is not too busy either and it is a pretty safe road, considering you’re in Vietnam. 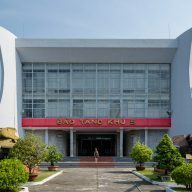 The parking is free of charge, but there’s a donation box, so spare a thought and some Dong for the poor Vietnamese men that work there. 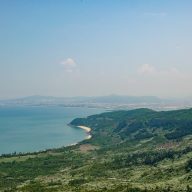 If you are not comfortable with driving, then a taxi can take you here for around 200.000-300.000 VND. Entrance fees: The entrance is free. There are donation boxes scattered around the complex. Opening hours: From 6am to 7 pm every day. Facilities: There is a small shop, located at the back of the main pagoda. It sells drinks, ice cream and souvenirs. Remember: Dress respectfully. 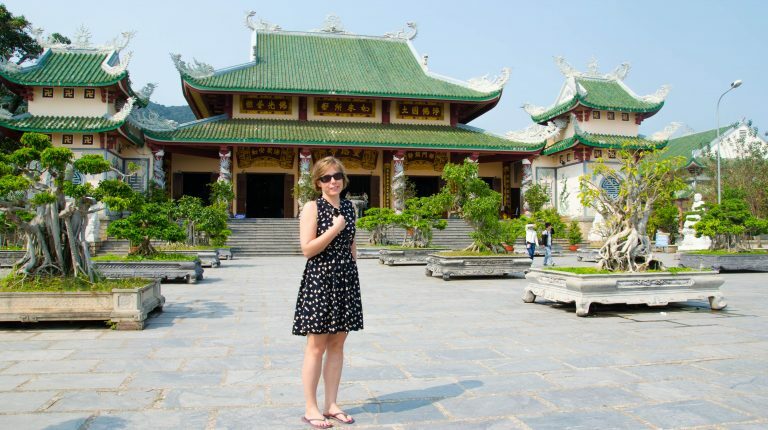 Vietnamese are not as strict when it comes to dress code as Thais, but you still shouldn’t wear a bikini when visiting a temple. Take your shoes off when you enter a pagoda. 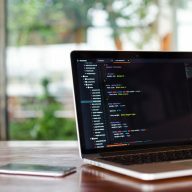 Previous Post: « Is Hoi An a good place for Digital Nomads?